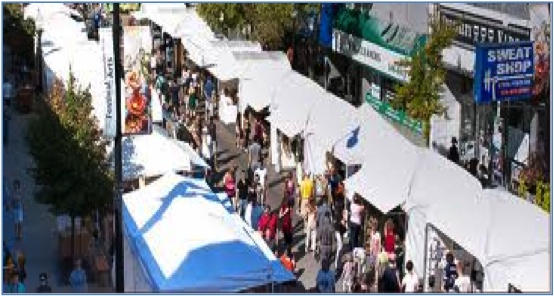 EM Events was founded by Erin Melloy in 1995 as an event planning company specializing in outdoor art festivals. Today, it is our pleasure to work closely with some of Chicagoland’s most innovative and creative communities and organizations to produce premier art festivals of distinction—festivals that are ranked highly by artists and patrons alike. It’s About the Art! At EM Events, it’s about the ART. Our festivals provide a venue for talented artists to sell their original art to art enthusiasts while offering patrons the opportunity to meet the artist, explore their work, commission a new piece of art or purchase existing works. All in an environment that’s conducive to making great sales happen. We deliver more of the best in painting, sculpture, ceramics, jewelry, fiber and more—and less of the things that get in the way like loud music, sponsor booths or food vendors. ARTISTS, you are what it’s all about. We can’t control the weather (really) or the economy (unfortunately) but we can make sure you have the opportunity to showcase your art at well organized, carefully juried festivals that take place in attractive surroundings, where the focus is on helping you make the most of the time and money you’ve invested in your work. At EM Events, we don’t make money off your booth or jury fees. We are paid a flat rate fee no matter the size of the event. This approach allows us to focus on the art. We at EM Events—along with our clients—believe in quality of art work over quantity of artists, which is why you won’t see fluff or filler booths at any of our events. Together we create unique quality art festivals that are a pleasure for artists and patrons alike. It’s a different approach and one we think makes good business sense for everyone. 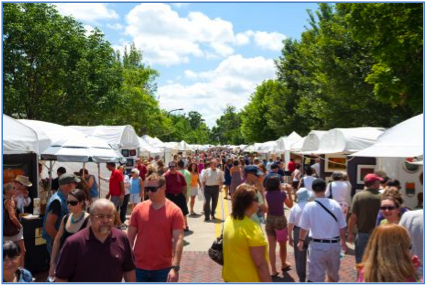 PATRONS, we know you love your art fairs—they’re a Chicagoland tradition! We also understand that you take your art seriously. Our shows feature the best local, regional and national artists we can find—and we do a lot of looking. And while big is good, it’s not always better. We believe in art festivals that feature quality of artwork over quantity of artists. We are dedicated to making sure you can comfortably interact with the artists, which means keeping noise levels down and sponsor and food booths to a minimum. Our festivals are easy to navigate with plenty of close parking. Check back closer to each event to view our current list of artists and activities. Artists and Patrons, we welcome you to join us at our fabulous juried events for 2019.